Many goups of animals and plants have experienced spectacular radiations in the Macaronesian Islands. This is also true of two Pholcidae genera, Pholcus and Spermophorides. Most Macaronesian species of these two genera are single island endemics, and many are restricted to a single valley or 'barranco', or to a single cave. 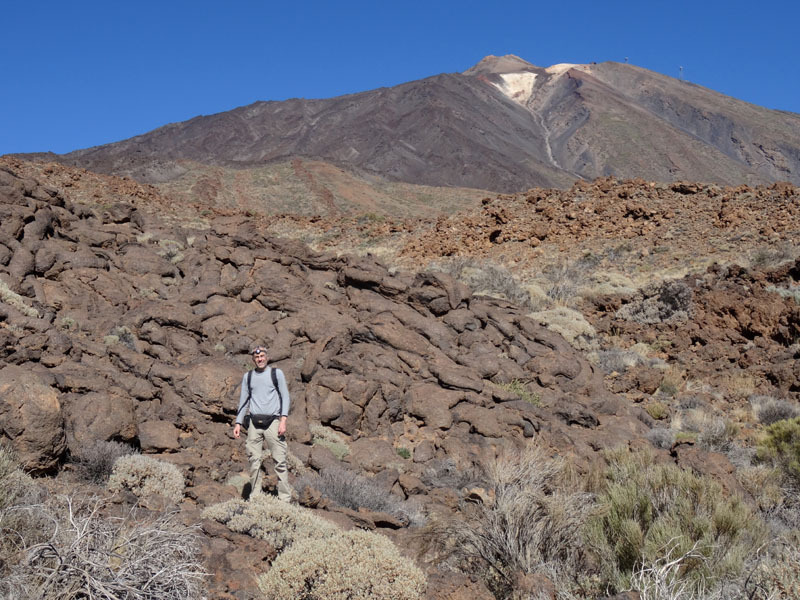 In December 2017 I visited Tenerife, the island in the Canaries with the possibly highest pholcid diversity. 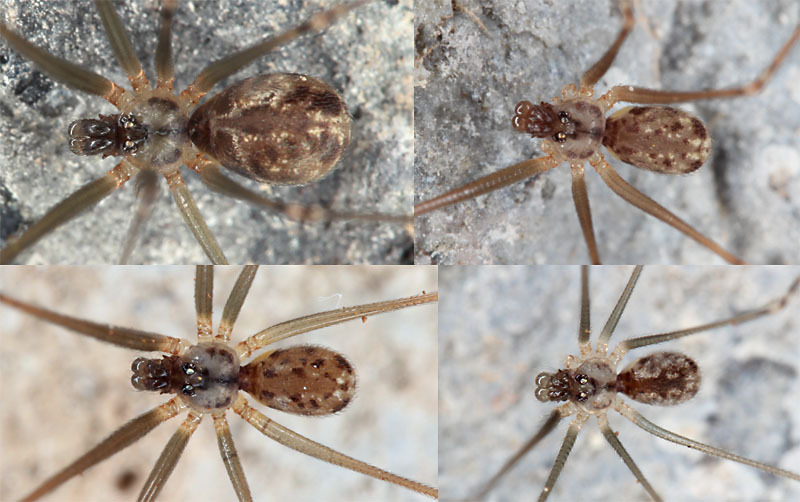 Eight of the 25 Macaronesian Pholcus species and ten of the 24 Macaronesian Spermophorides species are endemics of Tenerife. The idea was to obtain fresh material for molecular work rather than to find new species. 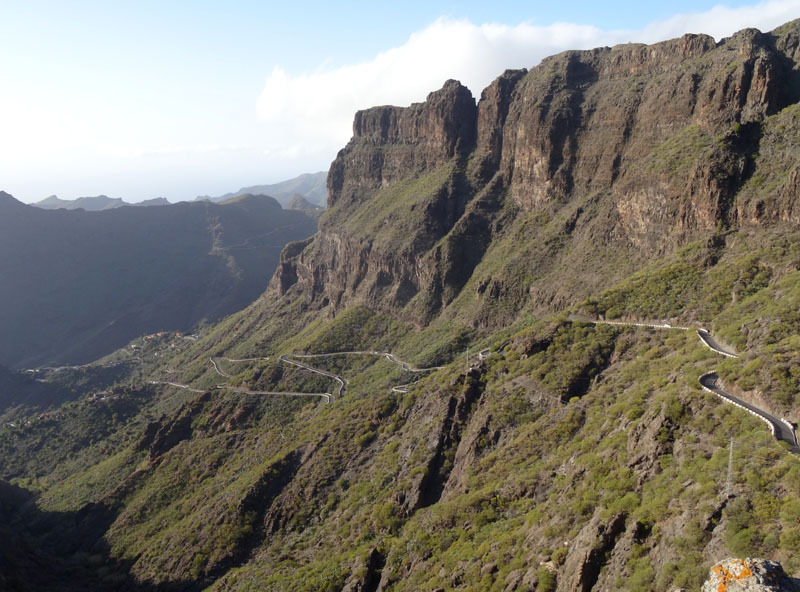 I thus concentrated on type localities all over the island, and managed to visit eight of them, including spectacular barrancos (Barranco del Infierno, Barranco de Masca), beautiful forests (Monte de Agua, Esperanza Forest, Mercedes Forest), and lava tube caves (Cueva del Viento, Cueva los Roques, Cueva de la Puerta). With six species of Pholcus and seven species of Spermophorides, the trip was quite successful. I got the previously unknown female of S. icodensis and the previously unknown male of S. gibbifera. However, the species in the Canaries are partly so similar to each other that reliable species limits (especially in Spermophorides) will only come with a thorough revision accompanied by molecular data. 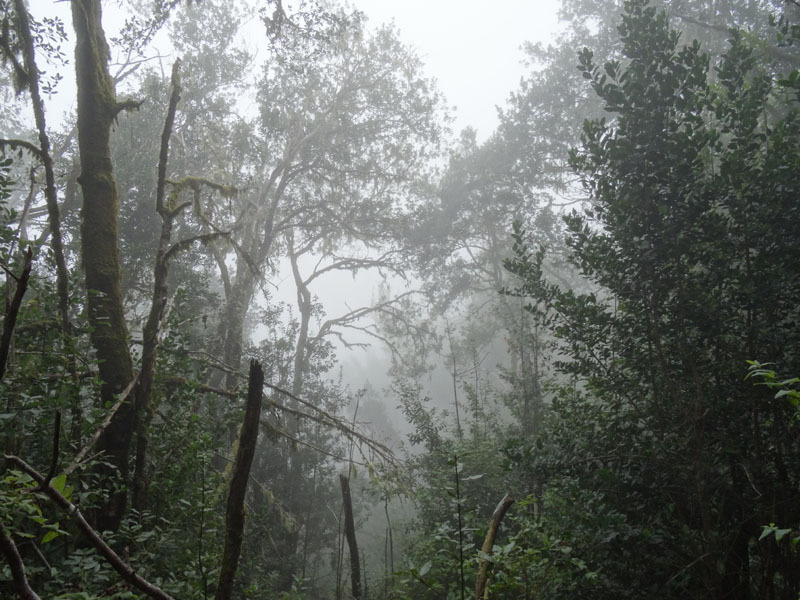 Looks like Borneo, but this is Tenerife: Monte de Agua. Near Roques de García at 2300 m, with the kind of lava that is often associated with caves, in this case Cueva los Roques, the type locality of Pholcus roquensis. 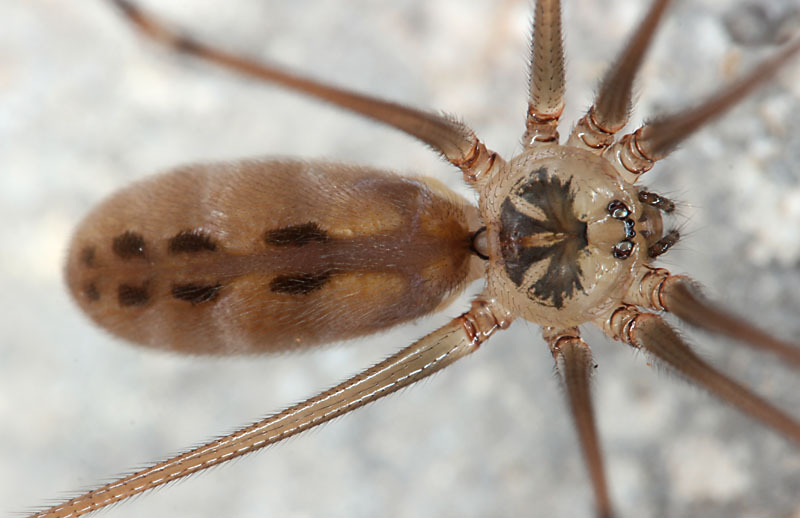 A Macaronesian Pholcus, with the typical carapace mark and pairs of dark abdominal spots. A sample of Spermophorides, originating from near Icod, Mercedes Forest, Esperanza Forest, and Cueva los Roques. I am most grateful to Pedro Oromi for his help in planning the trip and in obtaining a collection permit, and especially for accompanying me to Cueva de la Puerta where we tried hard (but failed) to find Pholcus baldiosensis.